Facial Acupuncture (also know as Cosmetic Acupuncture) has been said to be one of 2016's Top Beauty Trends. Many modern women are looking for more natural ways of maintaining healthy looking skin and staying away from the toxic botox injections and fillers so present in many female beauty regimes. Facial Acupuncture works by stimulating blood and nutrients to the skin of the face. The needles also help muscles to relax and tighten the skin, collagen is also boosted by making micro-wounds in the skin, which the body then heals, thus stimulating the collagen to be produced. You can get some minor bleeding at the site of the needles and occasionally a small bruise. As Facial Acupuncture is a whole body treatment other conditions such as headaches, sleep disorders, weight loss and many other conditions may also be treated. Facial Cleanse - to remove any dirt and bacteria from the skin before the treatment. 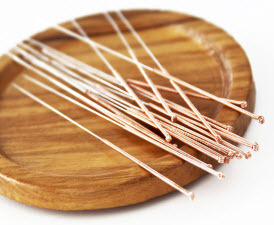 Acupuncture Needles - Various sizes of needles are used during the treatment. Intra-dermal needles are used for the fine line and wrinkles. Needles are left in for 20-30 mins. Head and Hand Massage - While the needles are in, a head and hand massage are given to help with reducing stress and making you feel more relaxed. Cupping Facial Massage - Facial cupping is performed after the needles have been removed. The suction cups help to stimulate blood and fluid/lymph movements. The suction also helps to relax muscle tension and lifts the skin. This can also help with decreasing and relaxing scar tissue. Cupping helps the skin to look plumper and more youthful. 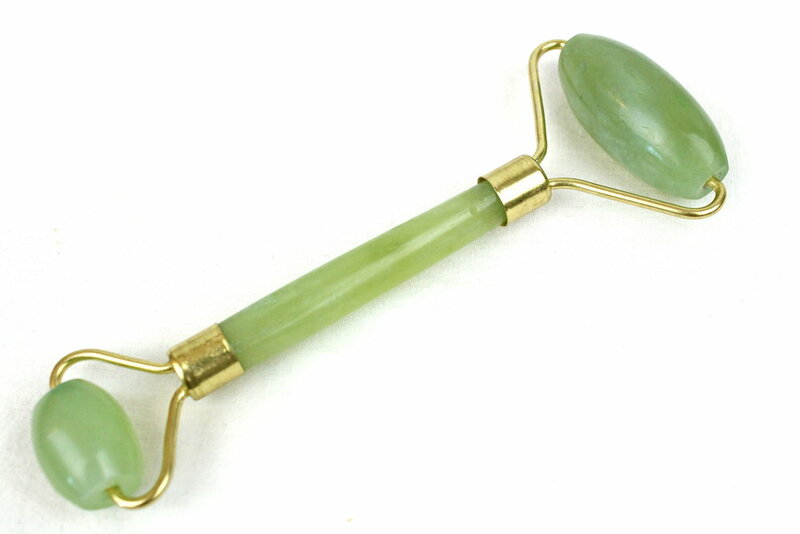 Jade Roller Massage - Lymphatic massage which helps to also cool the skin after the acupuncture treatment and to decrease under eye bags or dark circles. Deep Tissue Facial Massage - To further relax the deeper facial muscles, improve lymph flow and increase blood circulation. Dr Alkaitis Facial Elixir - The perfect way to finish the treatment. This 100% organic plant based elixir is packed with a blend of regenerative and restorative organic virgin cold pressed oils such as: echinacea, ginseng, turmeric, rosehip, hawthorne and many more. Try not to wear any make up for 12 hours post treatment and enjoy your glowing healthier skin! Normally 6 sessions are initially recommended to boost skin collagen production. If you live in or around Amsterdam, just email Helen at info@helenturnerhealth.com to schedule your Facial Acupuncture session! Hope to see you soon!